Looking for fresh apps for your iOS device? We’ve found 71 great apps that were released over the last couple of days. 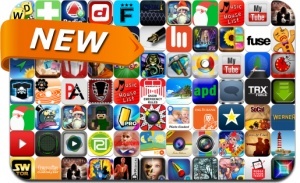 This new apps alert includes Bingo Seasons, The Woods, Draw Something Pro, Word Derby, Spooky Xmas, Lords & Knights, Dragon Flight for Kakao, Christmas Scary Spider Racing, Spartan Wars: Elite Edition, Draw-It Push-It and many others.